In recognition of faculty excellence, the UNT Foundation, the Office of the Provost and the Office for Faculty Success are pleased to announce the call for the 2015 faculty awards. Please consider nominating your colleagues for one of the awards listed below. Nomination packets are due February 2, 2015. This August we welcomed over 4,500 freshmen, the largest class in UNT’s history. Our goal now is to retain these students through graduation. For those of you who teach freshmen, you are well aware of the challenges many face (e.g., learning how to learn, learning how to manage their time, feeling homesick). Need some good ideas for working with first year students both inside and outside the classroom? Please review the resource guide, Best Practices for Teaching First-Year Undergraduates, prepared by the Eberly Center for Teaching Excellence, Carnegie Mellon University. In this booklet, there are specific strategies for working with first year students that will help them develop skills for academic success. The SETE will continue to be administered and used throughout the 2014-15 academic year. The Student Evaluation of Teaching Task Force is deep in the process of evaluating the feedback received from students and faculty this year. 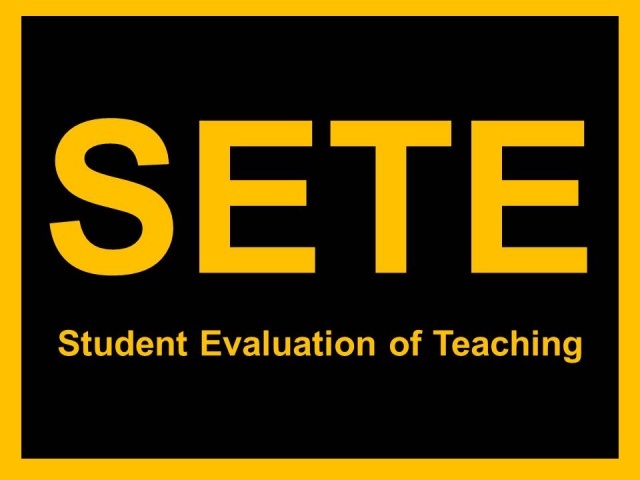 Until further notice, please encourage your students to complete the SETE survey. We have learned that students are more inclined to complete the survey when they believe it is important to their instructors. The SETE survey will remain open November 17 - December 7, 2014. As per UNT Policy 15.2.16, pre-finals week refers to the seven calendar days preceding the final week of each fall and spring semester and is designated so that students can adequately prepare for their final exams. During this week, student organizations do not meet and activities requiring student participation such as field trips, athletic events, or performances should not be scheduled unless approved in advance. Final exams should be administered at the designated times according to the published schedule. Any deviation from the schedule must be approved in advance by the appropriate academic dean. If a student has three final exams scheduled on one day, they may appeal to their academic dean to reschedule on another day during the final examination period. Please note that no classes are to be held on Reading Day, December 5, 2014. BWI provides tenure-track and non-tenure track faculty with a campus support group that focuses on research, career, and personal support. Visit the BWI Facebook Page for more information. BWI will host a luncheon on November 18, 2014, 11:30 a.m. - 1:00 p.m. at Mean Green Village, Bldg. B, Suite 113. The 18th and 19th Century Studies Group will host lectures with guest speakers Michael Gamer from the University of Pennsylvania ("Cor Cordium: The Heart of Shelley's Posthumous Poems") and Anne Frey from Texas Christian University ("A Keepsake Sensibility: Mary Shelley in the Annuals"). The event will be held on November 21, 2014, 3:00 p.m. - 5:00 p.m. in the Language Building, Room 214. November’s featured lecturer is Dr. Sandra L. Spencer, Principal Lecturer in English and Director of UNT’s Women’s and Gender Studies program. Spencer was recently recognized as a finalist in the Mentor of the Year Recognition Program, sponsored by the Women of Visionary Influence (WOVI). 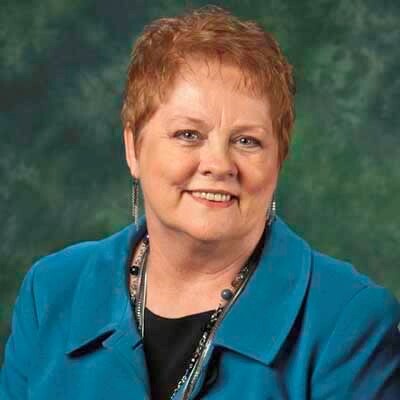 The Mentor of the Year award is presented annually by the WOVI, whose mission is to “empower women to lead and mentor.” Read more to see how Dr. Spencer is making a difference one connection at a time. Under the direction of Dr. Jim Poirot (UNT) and Dr. Don Edwards (TWU), Denton's thriving universities are creating exciting programs together. Join colleagues (located just 16 blocks away from campus) for an NSF Grant Writing Workshop led by Paul Tymann, Program Director, Division of Undergraduate Education (DUE). The workshop will be held on November 21, 2014, 10:00 a.m. - 12:00 p.m., TWU, ACT 601. Space is limited, please RSVP to research@twu.edu. The UNT-UAEM (Universidad Autónoma del Estado de México) Joint Seed Fund for Innovation aims to support innovative academic and research collaborations between UAEM and UNT. For additional information about this funding opportunity, please visit the UNT-International website. The submission deadline is November 30, 2014 at 5:00 p.m.
UNT's Incentives for Global Research Opportunities (I-GRO) fund for the academic year 2014-2015 is now open. For additional information on the three programs offered through I-GRO including requirements, eligibility, and submission processes and deadlines, visit the I-GRO website. Contact Amanda White at Amanda.White@unt.edu or (940) 369-5292 for specific questions. The Spring Teaching Excellence Seminar, sponsored by CLEAR is a power-packed event which offers UNT's newest instructors an opportunity to learn about UNT policies and best practices in teaching and learning. The seminar is mandatory for new TAs and TFs, but all new UNT instructors are encouraged to attend. Register for the seminar that will be held on January 15, 2015.